Top packing tips from our Dubai Holiday Experts! So you have booked your holiday to Dubai, planned your excursions and looked up all the best places for a sunset cocktail. But, what do you pack? If you haven’t travelled in a predominantly Muslim country before it can be hard to know which clothes are appropriate, where and when. As a general rule if you are in a hotel or resort (including the beach, hotel bars, and restaurants) Western dress is accepted. However, if you are in a place frequented by locals such as a mall, a market (souk), restaurant not connected to a hotel, both men and women need to cover their shoulders and knees. If you travel during the holy period of Ramadan you should cover up at all times. Not only is it respectful of the local culture it will also make you feel more comfortable. 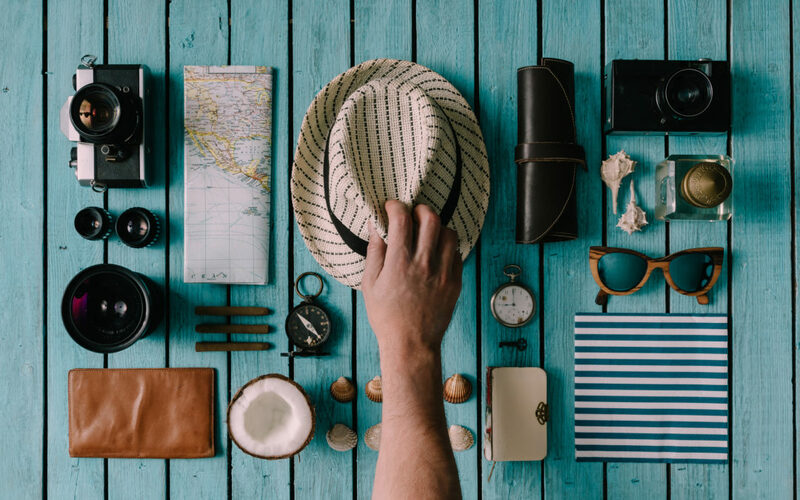 Aside from all the usual travel necessities, such as a passport valid for more than six months, a travel adaptor plug, sunscreen and local currency, there are some essentials you are going to need. Our packing tips include everything that should be in your suitcase to discover Dubai in style! Easy to throw in your handbag, pashminas and scarfs are ideal for travelling in Dubai. You can wrap it around you on a chilly evening or if you get cold in the aircon, use it to cover your shoulders if you are exploring the mall, or to cover your head if you want to visit one of the impressive and opulent mosques; such as the Sheikh Zayed Mosque in nearby Abu Dhabi. If visiting a mosque, you need to wear loose-fitting full-length sleeves and skirt/trousers. It is hot in the desert, so you want to be able to cover your knees while keeping cool. Maxi dresses and long skirts are ideal. Floaty and light you can wear them all day and easily transition from bargain hunting in the souks to happy hour drinks at the beach club. For guys and girls, linen is not only on-trend but will also keep you cool while keeping covered up in the hot desert heat. Men should also cover their knees and shoulders, it is not just the ladies. So linen trousers and a shirt are ideal. Amongst the most important items on our list of packing tips is a fabulous bikini and cover up. Dubai is nothing if not a place to be glam, even around the pool. You don’t need to worry about covering up at waterparks, on the beach, or the pool, so bikinis and swimsuits are the norm. Like most cities around the world, Dubai is full to the brim with fabulous bars and restaurants. If you go from your hotel to a bar or restaurant in another resort via taxi there is no need to cover up, and the culture in Dubai is to dress to the nines in the evenings. So pack your most fabulous LBD and heels and dress to impress at the Dubai nightlife hotspots. Adventures are aplenty in Dubai so you will need some comfy clothing ready for camel rides, sand boarding and the vast array of water sports.